The internet has made it a very small world and opened up communications across the continents and across the seas. You can talk to anyone anywhere, buy anything from any country and sell everything via the internet. But the biggest downside of buying and selling and communicating from one side of the world to the other in an instant – you can also scam people you have never met. The latest scam, or possible theft, affecting Heavenly Acres Pet Rescue is that involving eight english bull dog puppies and one french bulldog puppy and USD$7000. The puppies below were adopted out to HAPR, full payment being made for them. They were then shipped to Thailand and then Qatar on their way to the United States. Somewhere between Bangkok and Qatar they went missing – as did the gentleman handling them in Bangkok. Internet crime is a growing issue and one that is being taken very serious by law authorities world wide. The missing/stolen puppies have been reported to US authorities who are taking steps to get to the bottom of the scam/theft by escalating the matter to the level of major crime. The attending detective has notified the Secret Service and HAPR has been talking with the FBI. We urge everyone who uses the internet, especially animal lovers who find the perfect furry companion via online, to be very careful. These pictures were NOT copied from the Animal SafeHaven website. They were sent to HAPR by the Animal SafeHaven as being puppies available for adoption. 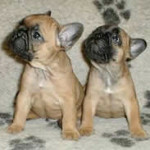 The top seven english and one french bull dog puppies have always been pictured at http://www.zyworld.com/safehaven/Home.htm. All puppies pictured here were paid for in full in January 2007 by HAPR. On 27 February 2007 the original eight were once again offered for adoption to a lady in Australia, the white one (which is female) being passed off as male. In all there were eight english and three french bull dog puppies paid for and supposedly shipped to HAPR. If you have been a victim of this scam or know someone who has, please email your story to admin@heavenlyacrespetrescue.com for inclusion in these pages. Names will be removed and not included on the page. For Heavenly Acres Pet Rescue’s full story on this puppy scam, click HERE. All of God’s creatures deserve to be safe, loved and respected. If you are interested in providing a loving Forever Home to one of our rescued friends, check out who is available on the ADOPTABLES page. If you can and would like to help care for our orphans in care while they are waiting to be adopted, you can make a donation via PayPal. Your help is greatly appreciated and most definitely need. Most, if not all, of our rescues require extensive medical care upon intake so we can adopt them out in the best state of health and happiness. PLEASE…be a part of the solution and NOT a part of the problem. Help those that are already here and desperately need our help. Thank You!